Pets are good for you! Studies have shown that just touching…holding…and loving a pet calms the spirit, helps speed recovery after an illness, and slows the heart rate. Pets also encourage more exercise in their human companions, and are great comforters. I just can’t imagine never having shared the special joys that a pet can bring into your life. Be sure to see the individuals bios of all my current pets. 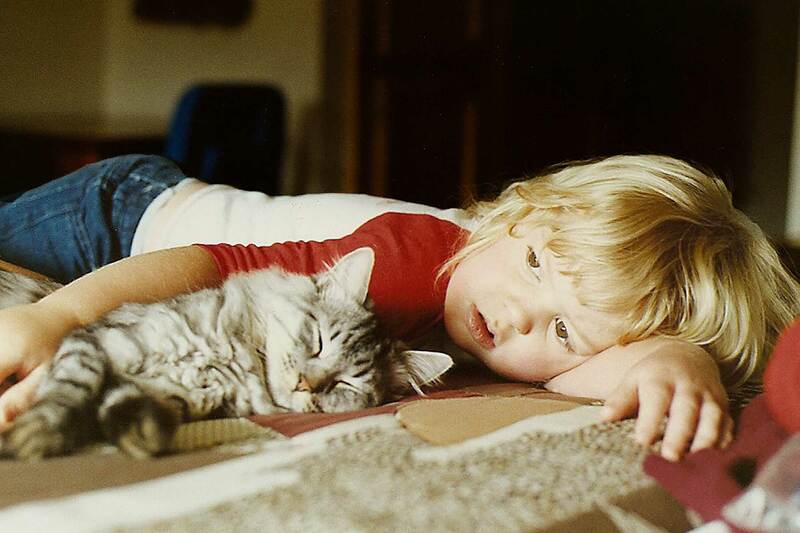 Years ago…my young daughter and our cat Cody.